Dr. Michael Scoles and Dr. Beguwala provide a full range of general, cosmetic, orthodontic, and specialty procedures at our Renton and Issaquah dental offices. With an emphasis on education and a commitment to innovation, Dr. Michael J Scoles DMD help patients of all ages enjoy healthier, more beautiful smiles. In every case, we strive to maintain as much of the natural tooth structure as possible. Both our Renton and Issaquah dental offices feature advanced technology that allows us to diagnose and treat many problems in the early stages. Dr. Scoles is an experienced general dentist who has advanced training in oral surgery, prosthodontics, endodontics, and orthodontics, and our associate doctors add to the breadth of experience at our practice. Dr. Reich is a top-rated general dentist with a special interest in prosthodontics. Dr. Butani has a background in community dentistry and is great with children. Combined, our dentists have a total of 59 years’ experience. Our training and expertise allow us to offer a more complete range of specialty procedures right here in our Renton and Issaquah dental offices. But, in the event that you need to see a specialist, we work with a strong pool of experts who will make sure you get the treatment you need. For every patient, we start with a thorough comprehensive exam, which will include x-rays, intra-oral photographs, and sometimes models of your teeth. During the exam, we will also explain how we interpret these images and other results, and discuss the self-care and lifestyle habits you should follow to improve or maintain your oral health. We’ll also discuss our treatment recommendations in detail. Educated patients make better decisions about their oral health, and we want to provide you with the information you need to proceed with confidence. Both our dental offices are certified by the state of Washington as environmentally responsible practices. We’re proud to report that our Issaquah office has four EnviroStars, and our Renton office has a perfect five-star rating. Our advanced equipment includes digital impressions, CEREC® one-visit ceramic crowns , diode lasers, and the Galileos 3D cone beam tomography system. The Galileos takes a three-dimensional image that guarantees exact placement of dental implants. Need a general, family, or cosmetic dentist close to home or work? We have two offices to serve you, and offer morning and evening appointments to accommodate your work or school schedules. 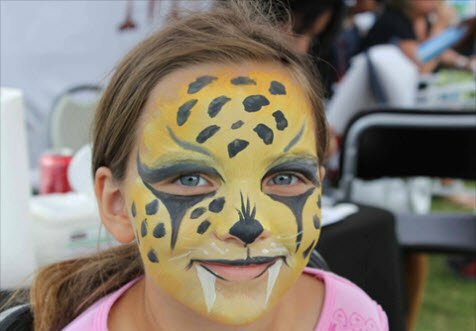 We regularly attend and speak at Renton River Days where we talk teeth and paint faces. We like to contribute to charities that are important to our patients. Each year, we sponsor several patients who walk in the Susan G. Komen Race for the Cure. If you have a charity that you are actively involved in, please let us know about it and we will consider a donation. We think it is important to play an active role in our community and the development of it’s young people. 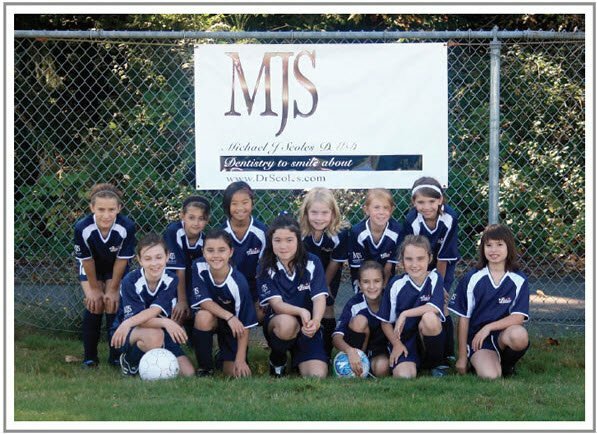 This year, we have sponsored the Patriot’s, a girls 10 and under team in the Soccer Club of Renton East League. We wish them nothing but success and healthy smiles!